TVS Motors’ most popular scooter – Jupiter achieved this sales mark in just 4 years since its launch. The 110-cc scooter was launched in 2013 and in just 30 months it has reached the 10 lakh sales mark. Powering the TVS Jupiter is a frugal 110-cc engine which makes 8 PS along with 8 Nm of torque. The scooter is available in three variants – Base, ZX (drum brakes) and ZX (front disc brake), with all versions equipped with Sync Braking System (SBS). Recently, a limited edition version – Classic Edition was launched featuring a new Sunlit Ivory body colour, chrome rear-view mirrors, wind-shield, pillion backrest and dual-tone seat. 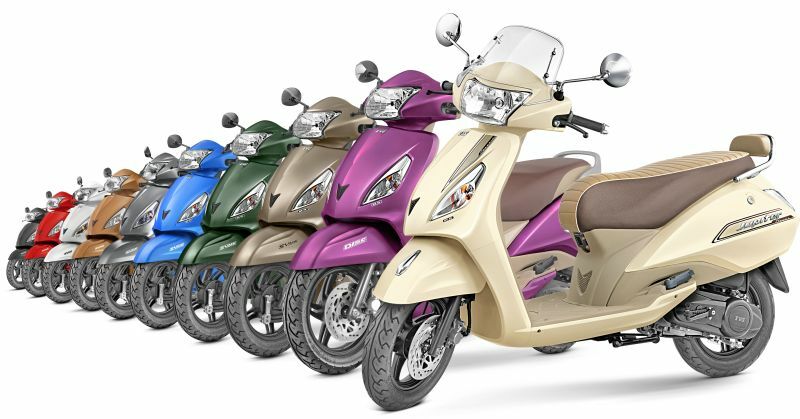 The TVS Jupiter is available in a bunch of colours including – Royal Wine, Matte Blue, Stallion Brown, Titanium Grey, Midnight Black, Volcano Red, Pristine White, Jade Green and Mystic Gold. Prices for the Jupiter begin at Rs 51,562 and it competes with the likes of Honda Activa, Yamaha Facino and Hero Maestro.